Summertime has often been a challenge in our household. When the kids were little—back when “the years go by fast, but the days go so slow”—summer practically came to a standstill. There was never enough to do. During long weeks of triple-digit heat, it seemed heartless to insist that we go to the park or the zoo. One. More. Time. Fast-forward a few years, and now the problem with summer is that it goes by too fast. There is never enough time for all the things we want and need to do—but can’t get around to during the hectic school year. Somewhere along the way, summertime has become the “junk drawer” for all the work and play we shove aside during nine months of busyness. However, it wasn’t until I read The Cure for the “Perfect” Life that I discovered my real problem with summer. 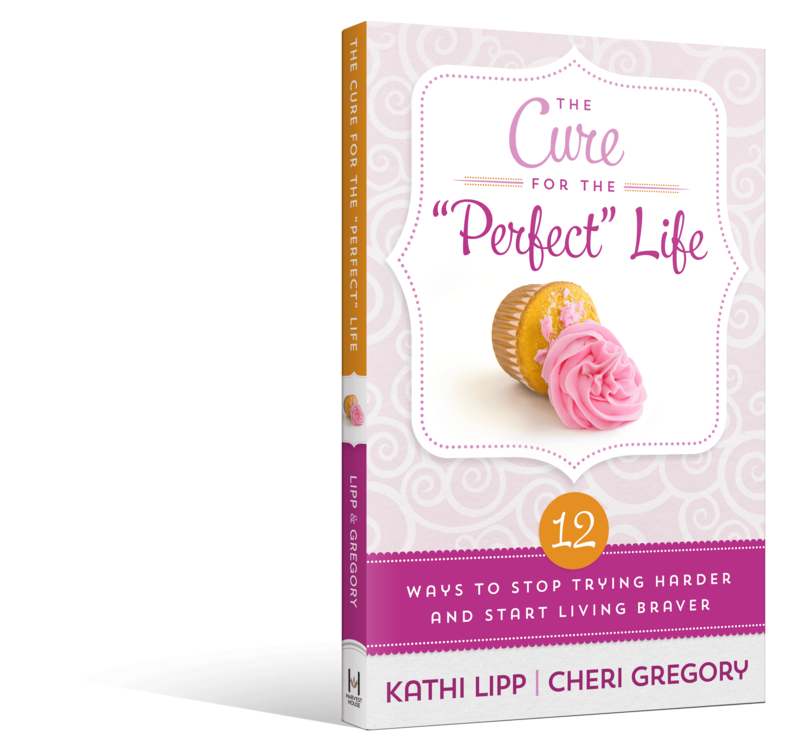 Authors Cheri Gregory and Kathi Lipp introduced me to the real culprits responsible for my summer struggles. Every year, the procrastination, perfomancism and perfectionism bullies (or “P-bullies,” for short) have been ganging up to sabotage my summer. Procrastination and perfomancism drive me toward summer, where perfectionism waits in ambush. It blinds me with glaringly high expectations, insisting that I can indeed achieve the perfection I crave . . . in the summer. Finally! I’m going to clean out all the closets! Reconcile all the bank statements and go through all the files! Finish all those incomplete scrapbooks! Make sure my children watch less TV/ read more books/learn more/serve others more. In the summer, I will finally realize my dream of the perfect home . . . perfect parenthood . . . perfect life. Let’s face it. If I could miraculously accomplish everything on my impossible list in three short months, I’d need to summon up a miracle that could make me more disciplined, more focused and more productive than I am the other three-fourths of the year. I’d have to move faster and work even harder in a season tailor-made for slowing down and taking it easy. Sounds perfectly ridiculous, doesn’t it? Thankfully, with the help of Cheri, Kathi, and their gallant band of braver living rebels, I’ve found there is a cure for the summertime blues. I’ve decided to send the P-bullies on a permanent vacation and reclaim summer once and for all! “I never really knew how tired I was until I stopped letting the P-bullies nag, hound and drive me from morning ‘til night! Looks like I may not have to wait until I’m dead to rest after all . . . tonight I shut them down and spent a lovely, relaxing moment doing nothing other than sit outside to enjoy the cool evening, pet my dog, and watch my husband and son work on a fun project all their own—hammers and nails and power tools, oh my! Good job, Pam! You nailed it (pun intended)! This sounds exactly how I had planned to approach this summer too; and very little got done. Right there with ya! Thanks, Heather! I’m so glad it spoke to you. Rebels unite! Great words Pam! Enjoyed your post!